On November 28, President Bill Weber and additional members of our staff attended the Association of Fundraising Professionals’ Fundraising Day in Boston. The annual conference brings together 700+ fundraising professionals from large- and small-shop nonprofit organizations to discuss the latest in philanthropy trends. 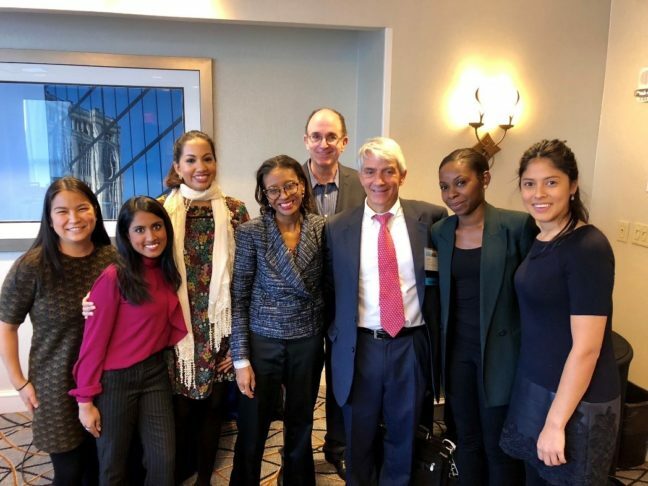 Development Guild was the proud sponsor of AFP MA’s Diversity & Inclusion Fellowship Program, which provides ten diversity fellows with a complimentary 2-year membership to AFP MA, access to training and networking opportunities, and a mentoring arrangement with a senior professional. The program is designed to increase diversity within the industry by helping young professionals advance their career. At the conference, our Senior Vice President of Executive Search Services and Principal Tracy Marshall moderated a panel entitled “Maximize Talent in Your Organization: Measuring and Promoting Success.” Tracy, along with panelists Amy Bronson and Patricia Gil-Casares from Boston University and Ellen Gilmore from MIT, discussed how an organization can maximize staff performance to best deploy and grow its fundraising talent. All of the panelists emphasized the importance of data collection and knowledge sharing in maximizing talent. Boston University, for instance, encourages all staff to complete an annual Gallup survey to give feedback on if their basic needs are being met (like having access to the required materials and technology to be effective in their jobs), if they feel recognized and appreciated, if they feel their teammates are committed to quality work, and if they have a clear understanding of their growth path. The survey results are shared with team leaders, and action plans—for both departments and individuals—are created accordingly. Another key factor of talent management is transparency. Ellen spoke of MIT’s decision to consider employee promotions only twice a year at pre-designated dates. By doing so, MIT created a clear, consistent system to manage employee timelines. The panelists also underscored the necessity of being clear with expectations—another element of transparency. When new fundraisers are brought on, managers must clearly state the expectations and goals for the fundraiser. With the cost of losing a high-end fundraiser estimated to be from 2.5x the fundraiser’s salary to over a million dollars, the ability of nonprofit organizations to retain top talent is crucial. Our Vice President Suzanne Battit also moderated a panel at the conference. 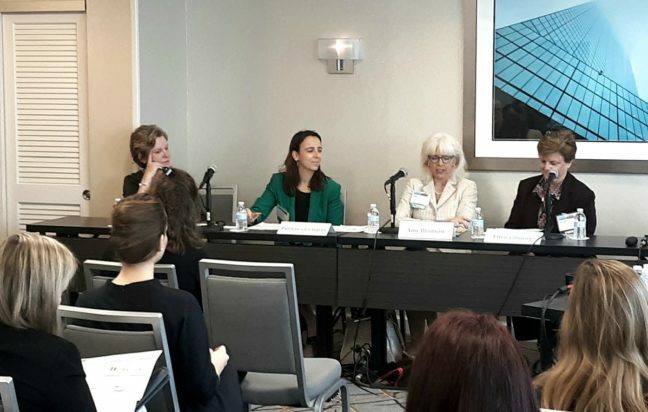 Alongside Chris Bentson from BELL (Building Educated Leaders for Life), Katelyn Quynn from HebrewSeniorLife, and Sharon Stanczak from the Whitehead Institute, Suzanne discussed how a nonprofit organization can build a board from a major gifts perspective. Though there were many questions on whether nonprofits should implement formal give/get requirements in their board search, the panelists agreed that organizations tend to have better success filling board seats with a formalized process. Furthermore, the panelists discussed how many organizations are looking at the next generation for board members and are creating a board prospect pipeline by having potential board members serve on committees first. Building a strong board might be one of the most important tasks for all nonprofit organizations, regardless of size, as the best boards can play a crucial role in the development of philanthropic strategy and support and in communicating the importance of philanthropy to the rest of the organization. AFP MA’s Fundraising Day in Boston provided valuable insight into the current development priorities of many nonprofit organizations. We thank all of the volunteers who made the conference such a great success. And now for a little fun! We offered conference attendees a chance to test their knowledge of philanthropy in Boston with a trivia game. Interested in playing? Click here! Find out more about the conferences Development Guild has attended and sponsored on our blog. Our Exec. VP and Fundraising Practice Leader Victoria Jones weighs in on how tech start-ups and the Pledge 1% organization are impacting the corporate philanthropy landscape. CEO Suzi Weber shares the 5 main factors that influence fundraisers’ decisions to join and leave a company, and how retention and recruitment efforts can be strengthened.